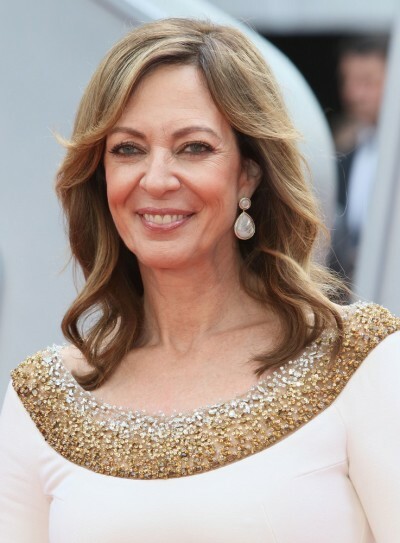 Allison Janney is an American actress. She won the Academy Award for Best Supporting Actress for I, Tonya (2017). She is the daughter of Macy Brooks (Putnam), a former actress, and Jervis Spencer Janney, Jr., a real estate developer and jazz musician. She has American roots going back to the 1600s, with many-generation lineages in Maryland, Ohio, New York, Virginia, and Massachusetts. Allison is six feet tall. Allison’s patrilineal line can be traced back to Thomas Worthington Janney, who was born, c. 1633, in Wilmslow, Cheshire, England. Allison’s paternal grandfather was Jarvis Spencer Janney (the son of Stuart Symington Janney and Frances Moale Spencer). Jarvis was born in Maryland. Stuart was the son of Johns Hopkins Janney and Caroline Symington. Frances was the daughter of Jervis Spencer and Sarah Elizabeth Elder. Allison’s paternal grandmother was Elizabeth Lowe Hill Smith (the daughter of Francis Fay Hill Smith and Elizabeth Stoddard Lowe). Allison’s grandmother Elizabeth was born in Ohio. Francis was the son of Frank Hill Smith and Clara Montfort Fay. Allison’s great-grandmother Elizabeth was the daughter of Houston Lowe and Caroline “Carrie” Harries. Allison’s maternal grandfather was Henry Wilson Putnam (the son of Edmund Whitman Putnam and Ethel Harding Wilson). Henry was born in New York. Edmund was the son of Irving Putnam and Emma O. Brock. Ethel was the daughter of Henry R. Wilson and Emma Louise Harding. Edmund Putnam’s grandfather, Allison’s great-great-great-grandfather, George Palmer Putnam, was a prominent publisher who founded the publishing house Wiley & Putnam. George’s daughter, Allison’s great-great-great-aunt, was physician, writer, and suffragist Mary Corinna Putnam Jacobi, whose husband was pediatrics pioneer Abraham Jacobi. Allison’s maternal grandmother was Elizabeth Ackermann (the daughter of Frederick Thomas Ackermann/Ackerman and Frances Annette Brooks). Elizabeth was born in New York. Frederick was the son of Charles Francis Ackermann, who was German, and of Henrietta Marie Wilkins/Wilckens, who was born in New York, of German descent. Frances was the daughter of James Croxall Brooks and Mary Catherine Murtagh, whose father was born in England, and likely had Irish ancestry. Allison’s ancestor George Palmer Putnam founded the publishing house “Wiley & Putnam”. George’s daughter Mary Corinna married Abraham Jacobi. Allison’s matrilineal line can be traced back to Sir Roger de Puttenham, born c. 1272 in Puttenham, Hertfordshire, England. Allison’s matrilineal line goes through Frances Annette Brooks, and Frances’ mother.